The last few days of this trip, we will spend in Lima. Upon our arrival, Freddy could already show me a bunch of things they did after the first part of this trip. On the one side of the lab, there were leaves that were being kept in the light incubator. This is to see if any P infestans would grow out and sporulate. 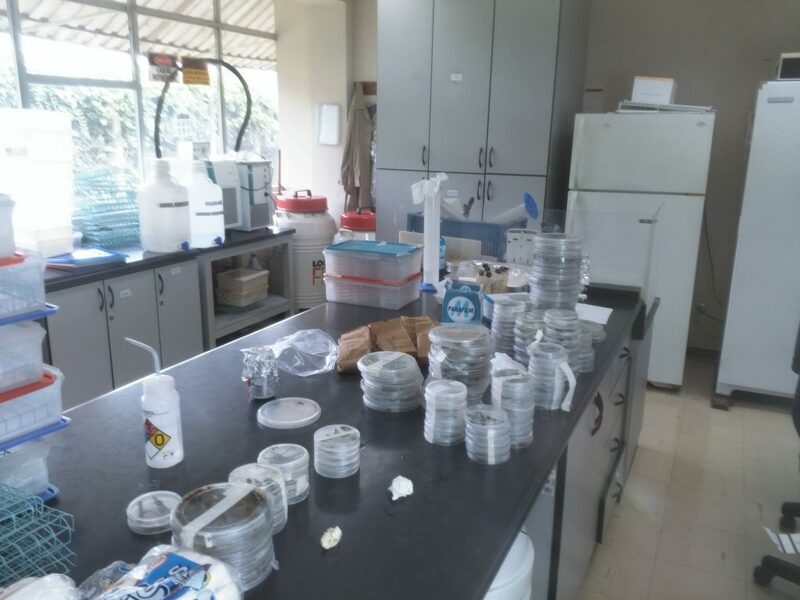 On the other side there were plates with different selective media with leave disks on it to facilitate either Alternaria solani growth or again P infestans. Some light-incubated samples seemed to be doing well and spores had been washed off and re-inoculated on several host plants and medium to see how viable the strains were. Also for Philippe’s part of the story, I had collected some samples. 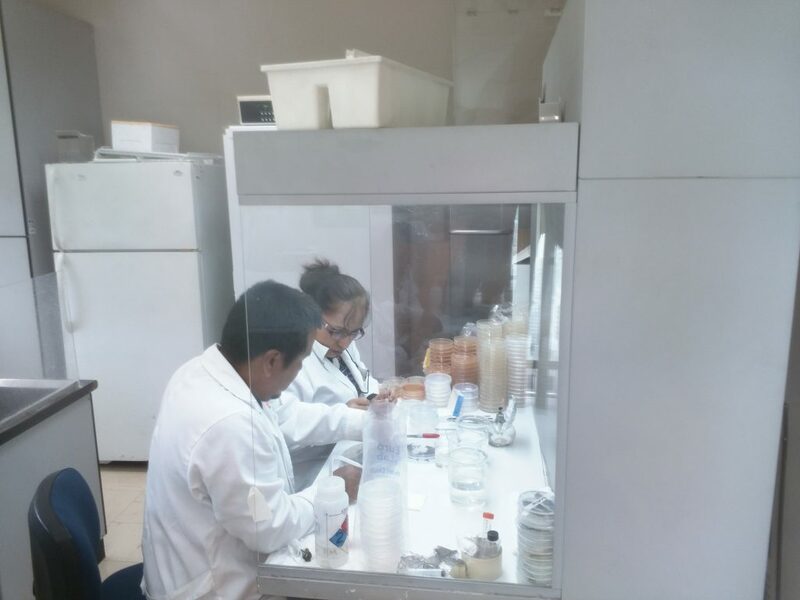 The team of bacteriologists from CIP were very busy trying to purify whatever bacterial strains were to be found in those stem pieces.